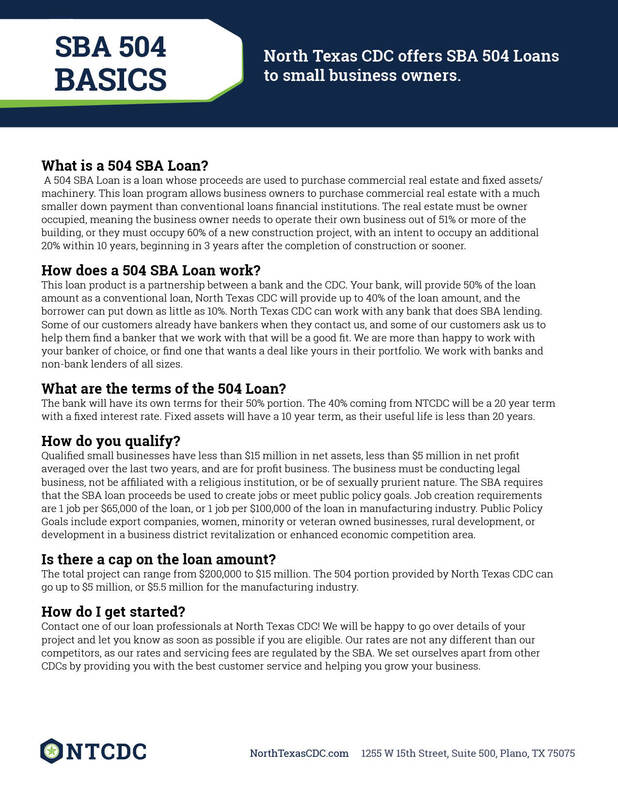 This loan calculator is a guide to help you understand how the SBA 504 loan can help you and your business secure SBA 504 financing. Please fill in all fields – No commas needed. Machinery/Equipment Are You a Start-Up Business? Disclaimer : This loan calculator is made available to you as a self-help tool for your independent use. North Texas CDC does not guarantee its accuracy or applicability to your circumstances. This tool is not intended to provide investment, legal, tax, or accounting advice. All examples are hypothetical and for illustrative purpose only. You may wish to consult your financial institution or financial advisor for additional information and advice. 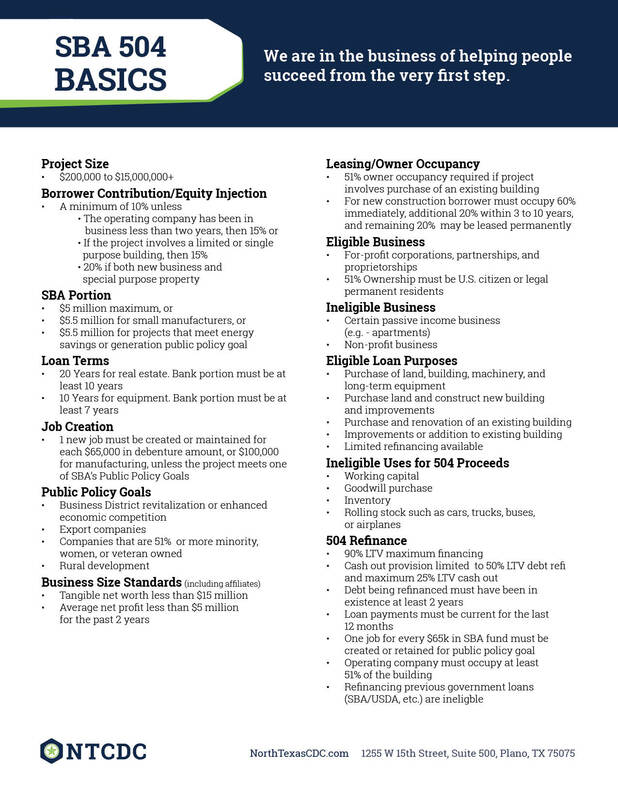 All loans would be subject to approval and credit terms may vary.